Above: He's back... and he's grown a middle-manager's mustache. 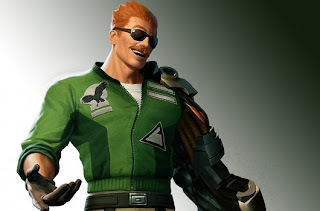 My review of Bionic Commando Rearmed 2 is up at thephoenix.com. I liked it. Not having much experience with previous Bionic Commando games, even the NES version, I didn't go into this one with any expectations of how it should be. Whether or not that would have changed my opinion of the game, I can't say, but the debate about whether or not Rad Spencer should be able to jump is, at least, one that I have no stake in. I liked this game's approach to difficulty. It was hard -- besides the instant falls to your death and the overwhelming boss fights, this is a game in which you can swing 90% of your way through the level, miss one grappling point, and plummet back to the start. But here's the key: none of this stuff erases any of the progress you've made before. You can always re-try levels you've beaten in order to find powerups that'll make your life easier. And even the game over screen just kicks you back out to the map, rather than letting you restart from a checkpoint. When people complain about a trend toward easier games, this is the part that always confuses me. I don't think games are necessarily any easier these days. I've been dying plenty in Dead Space 2, for example. You just don't lose all your progress every time you die. And that's pretty satisfying, as long as you always feel like you're making your way forward. There's that tension between not knowing what to do, and knowing what to do but not having mastered the mechanics of doing it. So there's that. I never felt transported or uplifted by playing this game, but I enjoyed it, and that's good enough for me. Postscript: The Phoenix's legendary managing editor Clif Garboden died last week. Clif was a lifer. He was at the paper his whole career. Most of my interactions with Clif were in the Phoenix's smoking room, where he would enter, light up, hit filter after three powerful puffs, and then vanish, but not before making some acid remark about the state of the world. Clif terrified me. Clif was also a true believer in the power of the alternative press. He never lost his sense of humor or his sense of outrage. He never stopped believing in holding the powerful to account. Often, when I read disparaging comments on my reviews at the Phoenix's website, it strikes me that the commenters don't seem to understand what publication they're reading. If you want to know what the paper is all about, Clif's personal recollection, published on the Phoenix's 40th anniversary, will give you a good idea. Well, that and "Screw You, America," the op-ed that Clif published on November 12, 2004. I found this one to lack the appeal that the first game did. 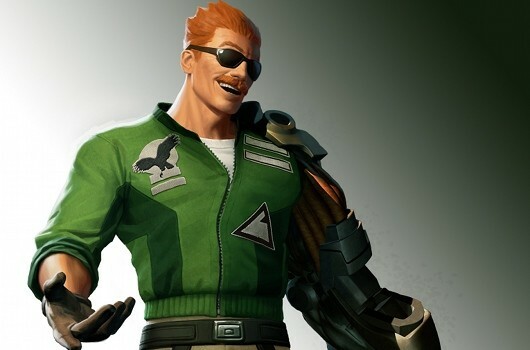 I didn't hate the game but it was an okay sequel nothing spectacular compared to the first bionic commando rearmed. I don't know if you had a chance to play the first one but you should. Sorry to hear about the death of your managing editor Clif. It is sad someone who felt so passionate about alternative press die. He will be missed. Maybe I'll give it a shot. I can see how this one would have room for improvement but I liked it all the same. I enjoyed occasionally feeling like I had mastered the grappling hook, even though I was quickly disabused of the notion every time. In the first one there was no jump button at all so swinging from place to place was something that had to be mastered. What I love about the series as you said is that the game never lets you be in charge. At some corner you will find yourself being killed by a common solider or falling horribly to your death. If a game doesn't make me go a little insane at times with how difficult it is, then it's not worth the buy.